We can help you obtain planning consent and build your dream home. QUBED are a RIBA chartered specialist residential architecture practice based in Wimbledon and covering [ifurlparam param=”location”][urlparam param=”location” /],[/ifurlparam] South West London and the South East. We have a 100% planning success rate and can help you deliver your dream home. QUBED specialise in designing and delivering Extensions, Refurbishments / Remodelling, Interior Design and New Build projects for individual clients. We offer a full range of professional Architectural and design services including Scheme Design, Planning, Building Control, Project and Construction Management and Interior Design. An overview of our services is provided on the services page. Our design philosophy and experience enable us to deliver outstanding buildings that are practical and tuned to their surroundings. 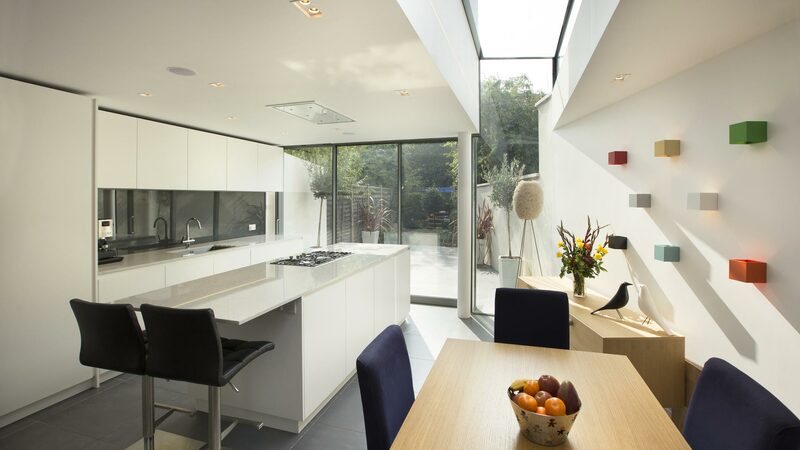 We pride ourselves on providing exceptional customer service and on delivering inspired architecture.